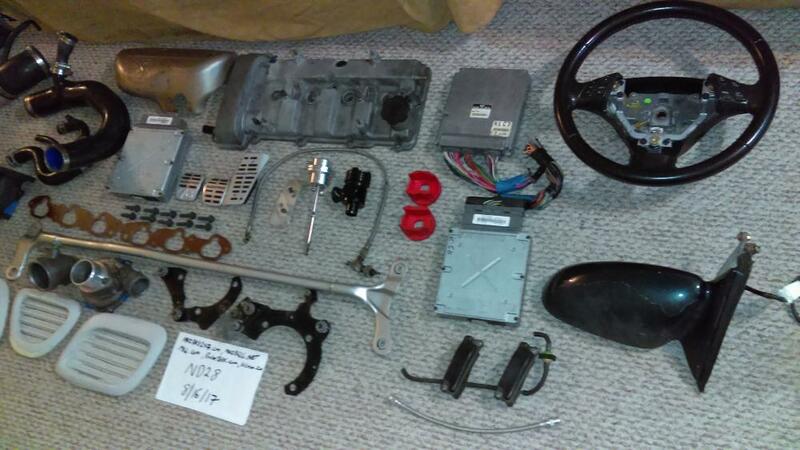 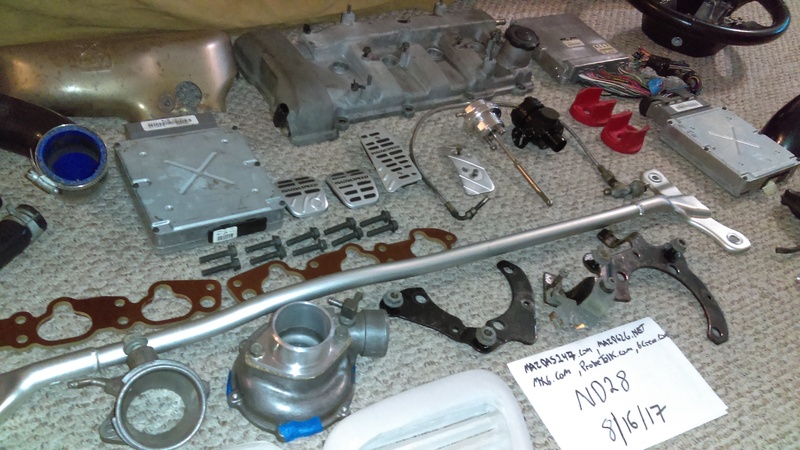 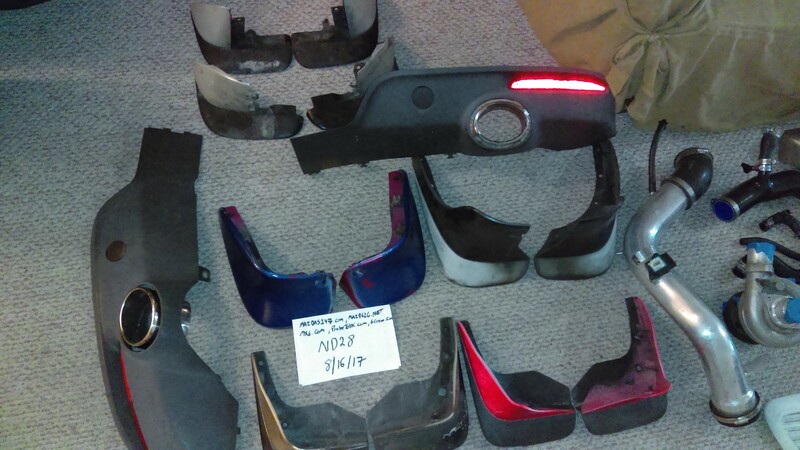 Hello guys, I have up for grabs many nice parts from different Mazda cars so have a look as there may be something of interest to you. Prices include shipping within the Continental USA, I do ship internationally so feel free to ask for a shipping quote. 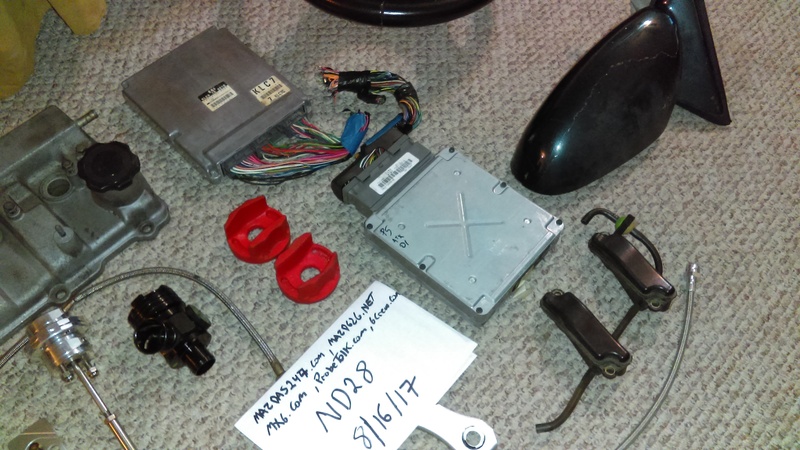 OK here we go its a big list so grab a coffee and start reading . 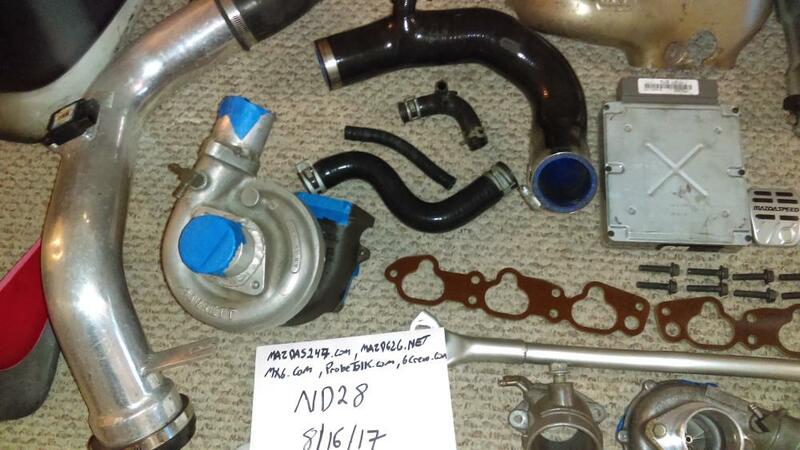 KLDE KLG4 intake manifold Phenolic spacers (oval) with Bolts SOLD! 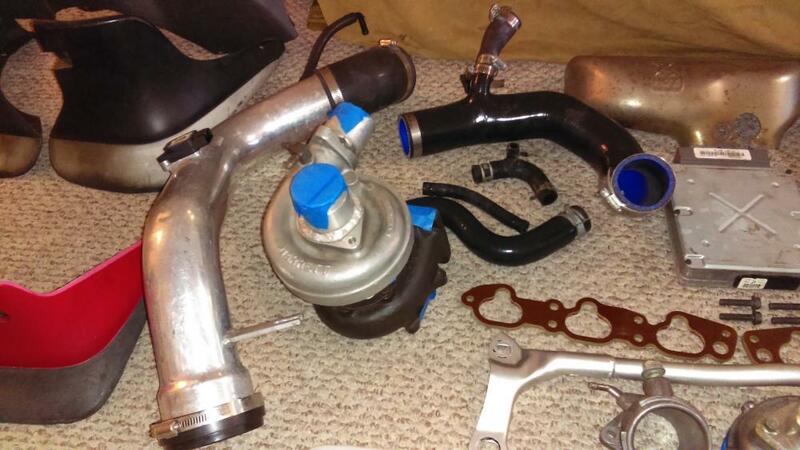 03-05 Mazda 6 3.0 V6 Injen Cold air intake, includes rubber elbow and Maf sensor SOLD! 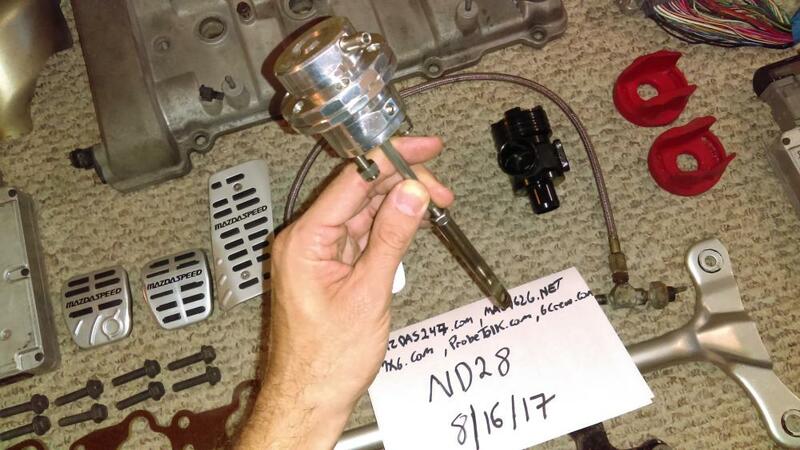 Aluminum Blow off valve Spliter style (Forge clone) SOLD! 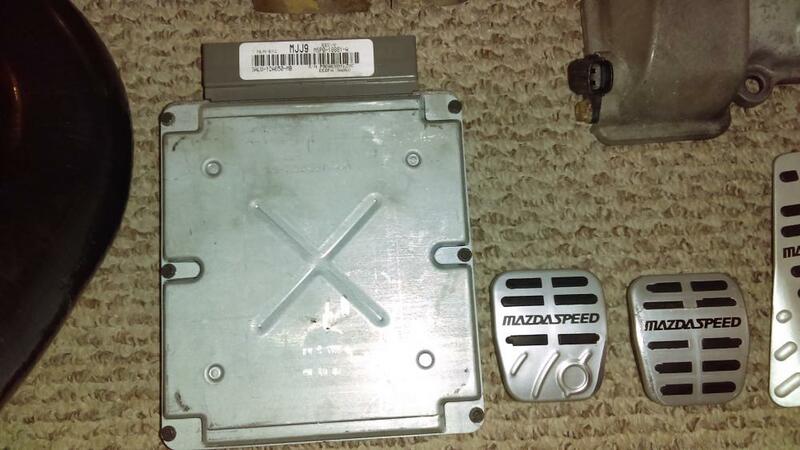 2003 Mazdaspeed Protege MSP Pedal covers, gas brake & clutch (might fit 626\mx6 look it up) SOLD! 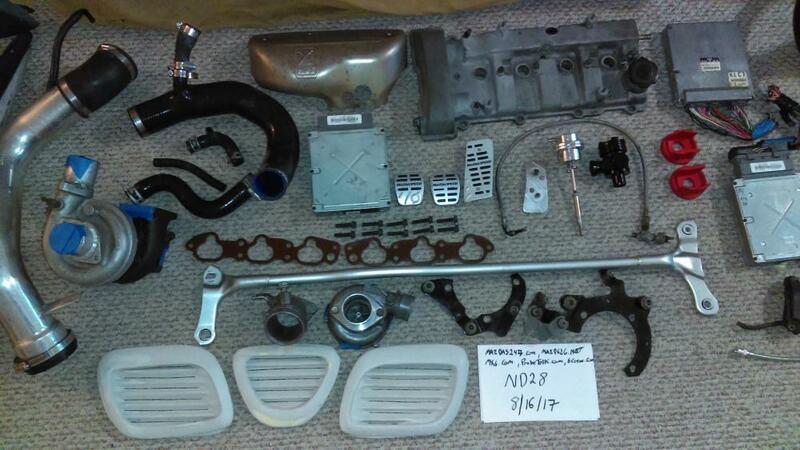 2003 Mazdaspeed Protege Samco Sport hot pipe, Silicone upper intercooler pipe SOLD! 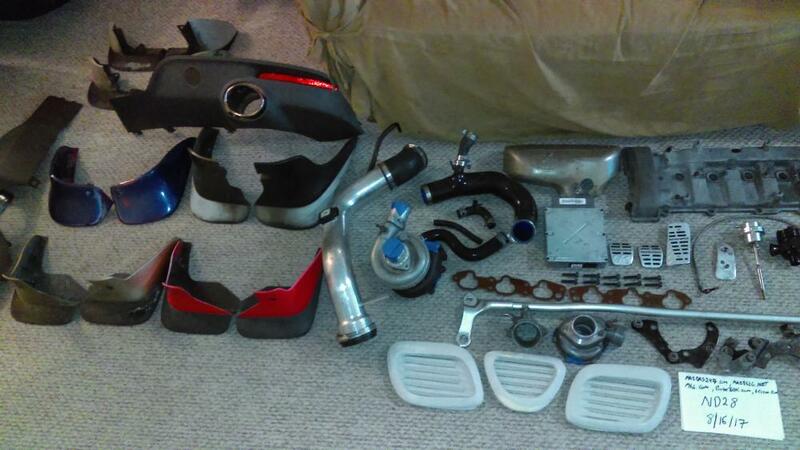 2003 Mazdaspeed Protege silicone upper radiator hose and Turbo T shape silicone hose and another related silicone hose SOLD!